I've just returned from a lovely family holiday by the beach. It's amazing how occupied young kids can be with a vast expanse of sand to play with. The ultimate sandpit. 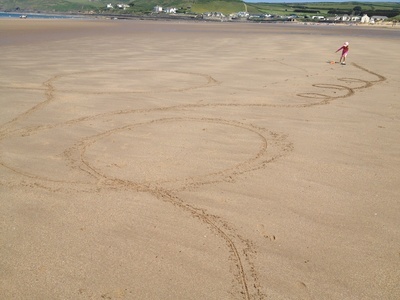 As well as general digging and burying feet in the sand we also played lots of fun games and got a little creative too. Take a walk along the high tide line and see what you can collect. We found all kinds of stones, shells and drift wood. 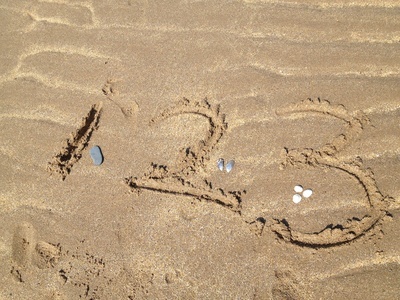 In the firm wet sand, draw numbers and then arrange your finds next to them. One stone, two small shells, three pebbles. It's educational and fun too. Playing shops is a great game for imaginative play. 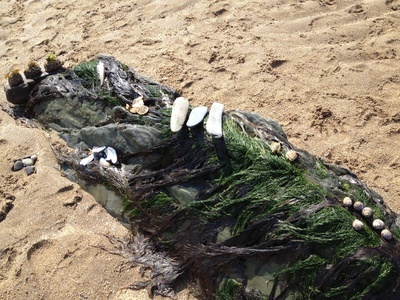 We arranged our beach finds on a rock and then we were open for business. You could also try making sand cakes for sale. 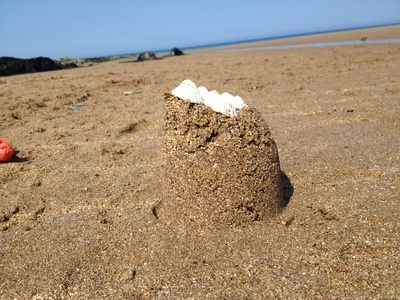 No trip to a sandy beach would be complete without making a sandcastle. Even the smallest of preschoolers enjoy filling a bucket and tap tap tapping before revealing a tower. 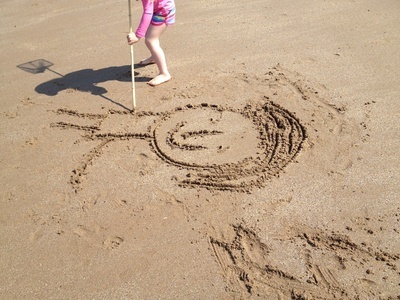 Super size your creative fun and use a stick to draw a really big picture. This game was a beach winner. 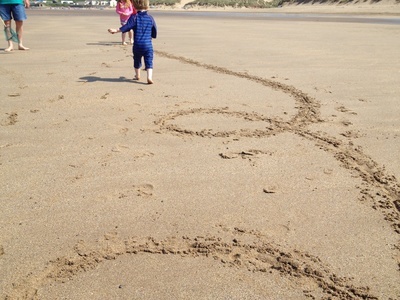 We drew a huge wavy, squiggly line. The youngest kids enjoyed following the line and the older ones lead each other along blind folded. 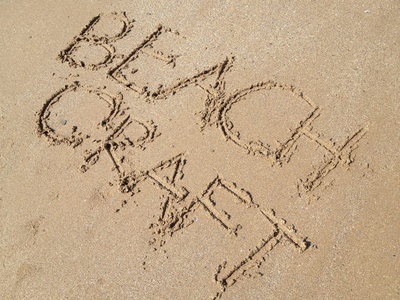 What fun do you have at the beach?